A woman suspected to be a kidnapper has been assaulted by an angry mob for allegedly hypnotizing children. 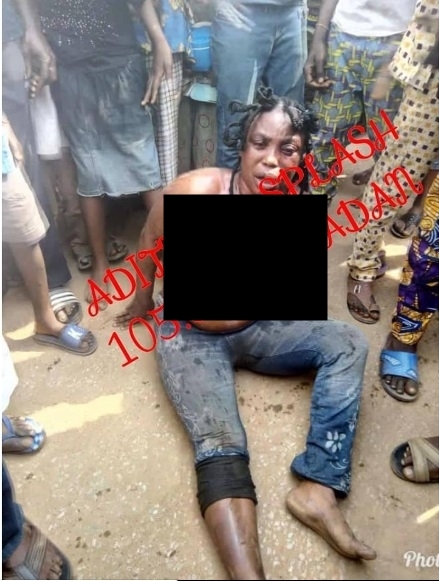 A suspected female kidnapper was given the beating of her life after she was apprehended while allegedly trying to abduct three children in Oyo state. She was stripped n*ked and beaten mercilessly before she was handed over to the police.